Happy Birthday, Jojo! 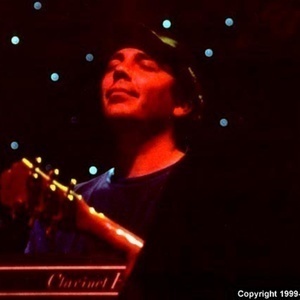 It’s been 25 years since John ‘Jojo’ Hermann joined Widespread Panic - can you believe it? His New Orleans-influenced keyboard stylings have become essential to the Panic sound of the last couple decades, just behind Houser’s guitar and JB’s growl. Panic has typically had a show on July 18, and the band usually has gone out of its way to celebrate Jojo’s day of birth, from giving him the chance stretch out on the synth to a gorilla presenting him with a birthday cake on stage. This episode starts out in 1995, with an in-store performance at Bohemian Music, a record store-slash-piercing parlor in Billings, Montana, and winds up in Memphis, Tennessee during a stellar and steamy two-night stand in 1997. In between, stop in Raleigh and Indianapolis for Panic classics. So, Happy Birthday, Jojo, here’s to your health - SKOL!